California has many different National Forest districts and each region has their own fire restrictions. State Parks & BLM also manages recreation areas & camping in the Golden State. Each agency & region has different rules, so blanket answers cannot apply to general questions on campfires. California suffers more from wildfires now than ever before. Drought conditions or record winter rains, the huge population means fire danger. By mid summer we have usually have several wild land fires burning, which means campfire restrictions are usually in place before JULY 4th weekend. 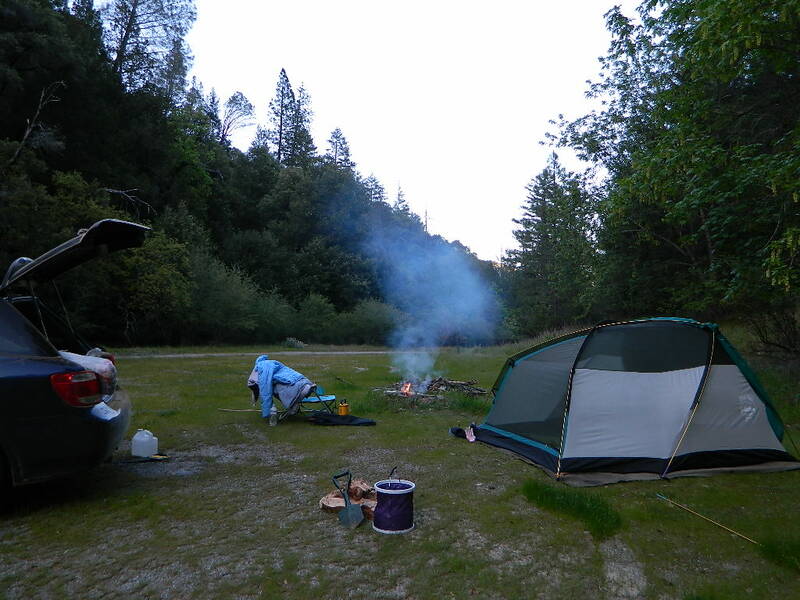 When this happens – No open campfires are allowed in the backcountry or on the back roads. Often in the driest of years, no campfires are allowed even inside the campgrounds. If you love to primitive camp outside of developed campgrounds, you need to plan more road trips for Spring time & early Summer. Or go desert camping during winter months. No concise, easy-to-read list or online map exist on which forests are allowing backcountry campfires and which ones are not. It seems to change so often and they aren’t great about updating those .gov web sites. Best just to call each forest individually and ask rangers about current fire conditions. If you can speak to a field ranger, they can tell you more on dispersed camping. Or you can navigate the USDA web site to find current ALERTS & RESTRICTIONS. Narrow down a specific region by checking out where fires are active today and selecting a region well away from big fires.